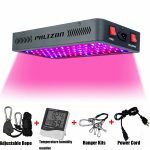 In front of you is the best review of the MarsHydro Mars 600W LED grow light you will ever see. It’s detailed and on-point. 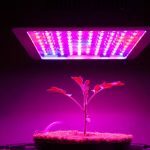 We started with lists of the pros and cons of this particular grow light and then proceeded to more detailed analysis. 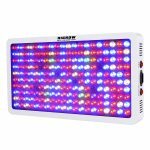 Furthermore, not only that we analyzed and reviewed this grow light but we also found the BEST price you could possibly find online. Now, let’s see what this is all about. It provides a full spectrum of light for all stages of plant growth. It’s very durable which means you will use it for a long time. The unit is made using the reliable Epileds/Bridgelux LEDs. It’s compact – ideal for small grow tents. This model is not equipped with UV r IR lights. 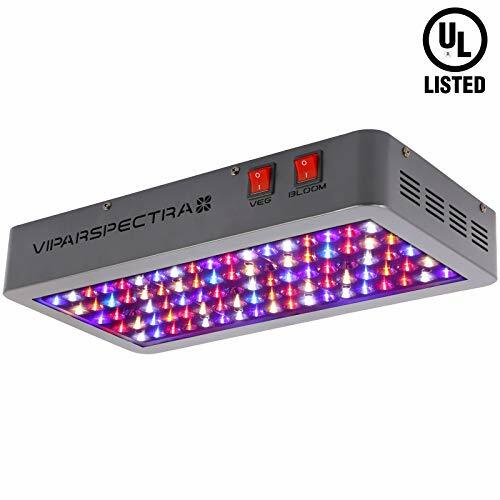 Most of the LED grow lights manufacturers claim that their product is the best on the market. When it comes to this particular product, it truly is one of the best on the market. MarsHydro is a reliable name and this particular model is one of the best selling and with a very high rating on Amazon. It’s not very cheap, but if you consider the fact that it will last for years to come and its incredible features, you will conclude that it’s worth the price. 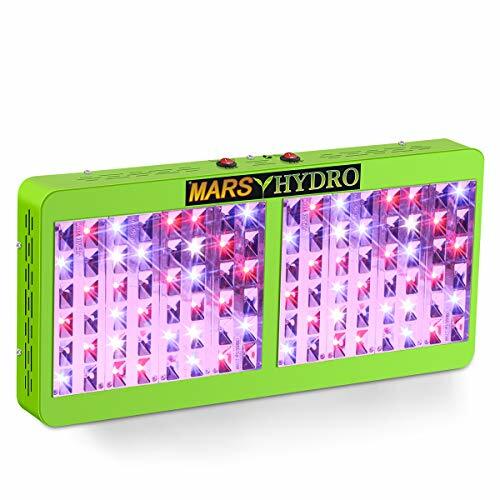 The MarsHydro Mars 600W LED grow light differs from the other lights in this category at several points. There are, of course, some negative points but those are just minor drawbacks. Furthermore, the light offers a full spectrum and effective PAR value. 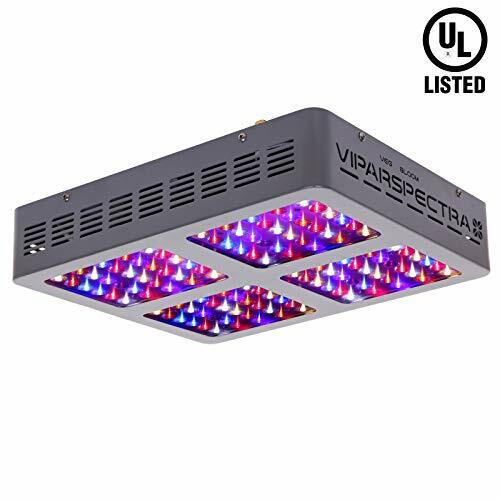 This is actually one of the best grow lights in a full spectrum category. This means that this lamp can feed your plants all the light they need for all cycles. Still not convinced? 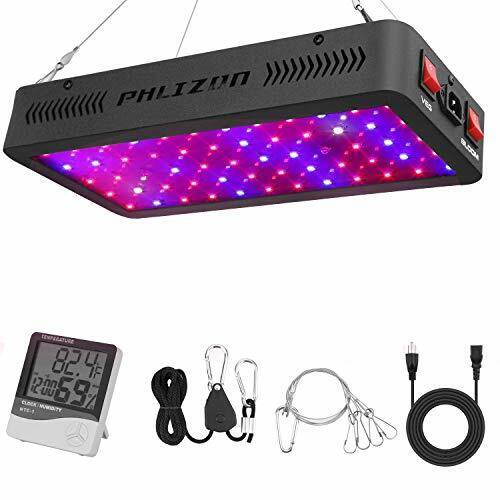 In that case, proceed to a more detailed analysis and see why is this one of the best grow lights a market has to offer. 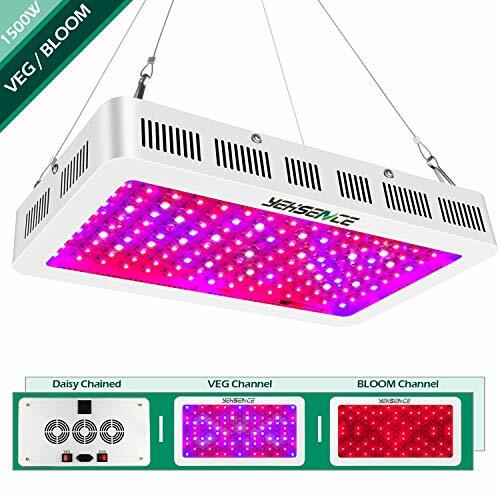 MARSHYDRO Updated 600W LED Grow light is focused on the even par value and utilize superior 12-band full spectrum with IR to achieve maximum photosynthesis response. HIGH COST PERFORMANCE: Compares to traditional 600-watt HPS/MH while consuming only 192 watts! Great for 2.5' X 4' growing area at 18 inches height. Using 2 Eco 600W led grow lights will be perfect for a 4 X 4 cu. ft. area. SATISFACTION WARRANTY: 3 years authentic warranty with the support of the service center in Toronto. 30 days money back if the light had any problem. If you have any questions please contact us. We will reply to you within 24 hours. Before we begin, we must say that the MarsHydro is a serious company with more than 7 years of experience in the field. According to their website, they’ve sold a lot of grow lights to growers all over the globe. This fact can assure you that you are buying a good stuff. There are almost no negative reviews and the company backs their products with a one-year warranty and money back guarantee of 30 days. They are that confident that their product is good and that it won’t be returned. Now, let’s talk about this particular unit. When it comes to coverage, it can cover a 3 ft x 3 ft area which is quite enough for a few plants. A light in this area will be intense enough for both vegetative and flowering stage. The full spectrum will produce a purple light when all the wavelengths are combined which is good for seedling and vegetative phase as well as the flowering phase. They’ve balanced the spectrum ratio this way in order to cover an entire life cycle without the need for a veg-bloom switch. In case you’re worried about other specifications then this lamp needs input voltage between 85V – 265V (AC). Mars 600 is outfitted with 120 pcs of 5W LED chips on board. What’s more, each LED is set in a way that gives your plants maximum possible thick and serious light. In case you’re worried about focusing angle of Mars Hydro 600W Grow light, it has blended focusing angles of 90 and 120 degrees. 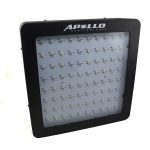 This encourages produced light to spread equally and still keep a portion of the light centered on your plants. Zener Diode protects the LED in the long run. No doubt, if any LED quits working then Zener diode will bypass capacity to other LED and your grow light won’t quit working on account of the failure of one LED. Mars Hydro 600 Watt gives lumen yield of 12631 lumens. Light of this stunning grow light is so productive that it’s putting forth great PAR esteem while working. From the stature of 18″, this lamp gives 980 umol of PAR value. Also, from 24″ away this lamp will give 662 umol PAR value to your growing space. This PAR value legitimizes the power of Mars Hydro 600W LED Grow Light. Also, as we all know, more the PAR, more the yield. 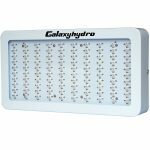 Thus, in this Mars Hydro 600W review we’re upbeat to disclose to you that purchasing this light will give you greener and more advantageous plants Because it has better PAR yield contrasted with other shoddy level grow lights. 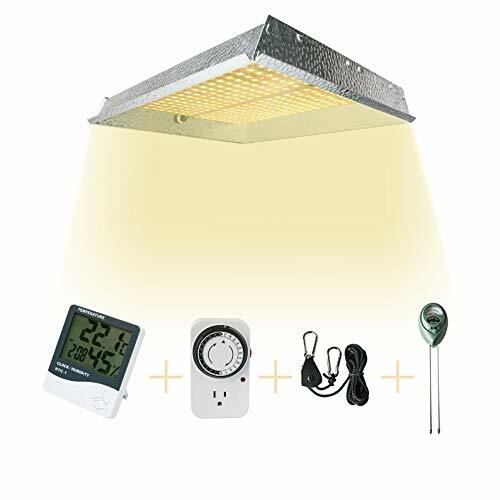 MarsHydro Mars 600W LED Grow Light comes with multiple cooling fans some of which take in the air while the other has an exhaust function. The cooling is actually very quiet and it produces only 56 Db of noise. Additionally, it’s equipped with an excellent and quite large pincushion heat sink. The heat sink keeps the inside of your growing tent much cooler than any MH/HPS grow light. 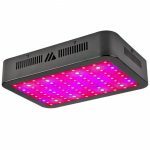 This MarsHydro Mars 600W LED Grow Light is an excellent choice if you are starting an indoor growing operation. However, if you are a professional grower you will probably want something more serious. 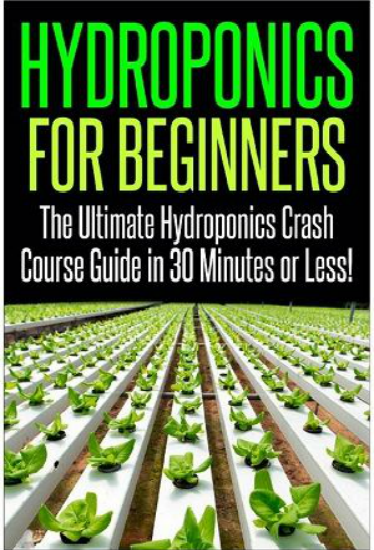 It’s an excellent light for an affordable price, and it has everything a beginner grower could possibly need. The minor drawbacks such as no IR/UV light and the fact that the lamp is not waterproof are not really deal breakers. Additionally, there is a one-year warranty which means that the company is confident enough about their product. Also, if you order your light from Amazon, the unit will be tested 48 hours before shipping so that they can be sure everything is ok. 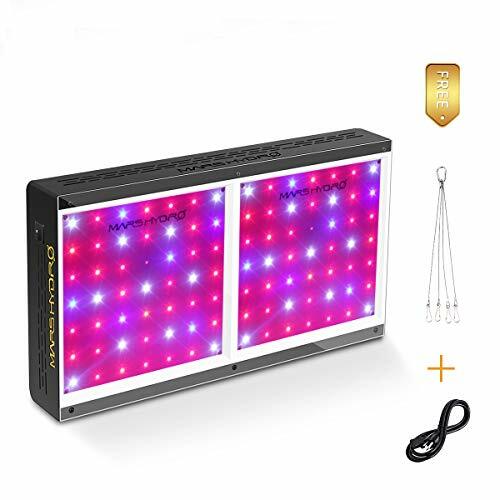 If you have decided to buy this great grow light, look no further, the lowest price of this unit is on the link above.